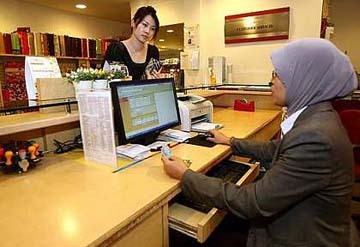 How does Malaysia measure up, in terms of customer service? In an e-mail interview, Shaun Belding, CEO of the Belding Group of Companies, spells out what makes for good customer service. SHAUN Belding, a Canadian specialist in customer satisfaction and staff training, places Malaysia right in the middle when it comes to customer service in the Asian retail scene. Not terrible but not fantastic either. But he says we are making strides. Belding, author of the best-selling Winning With The ... From Hell book series, is recognised as one of the leading global experts on customer service, service recovery and building positive workplaces. His Belding Group of Companies, which has an extensive global clientele ranging from Fortune 100 companies to small businesses, has two divisions. Customer-oriented: The single most important message to convey to a customer is that you care about them, says Shaun Belding. The first, RetailTrack Mystery Shopping & Consulting, provides high-quality mystery shopping services throughout the United States and Canada. (Essentially, they send out undercover retail inspectors who rate how a shop’s staff performs). The second, Belding Skills Training & Development works globally in designing and delivering award-winning training in customer service and employee performance. Belding says he hardly does any training anymore these days, concentrating instead on ensuring that the solutions his company provides create a measurable difference for clients. “The only actual training I still do is when we have a client in Malaysia. It’s my favourite place in the world, so I pull rank on our trainers!” he jokes. According to Belding, the single most important message to send to a customer is that you care about them. Belding, who has been in and out of this region for years and is very familiar with Malaysia, says there has been a lot of changes in the retail scene. “For policies and practices, I have seen dramatic improvement. Things are becoming much more customer-focused, and it is much easier to do business with retailers. For practices and people, I have found Malaysia to be a study in contrast. For the most part, sales associates are passive – perhaps too passive. “They will follow you around and answer questions, but are unwilling to take control of a situation and engage you, or ask questions to ensure that you leave with the right item. My sense is that most perceive retail as a job, not as something to be proud of. “The contrast is in the over-aggressive retailer who just wants you to buy something, not really caring what it is. There aren’t many of these, and I may have experienced more of them because I am obviously a foreigner, but they stand out,” he says. Some of the things that Belding feels could be improved on are in the area of leadership and training. Disengaged or uninterested employees, he points out, is a reflection of leadership. “Leaders must remember that they have to treat their employees as their customers. They must engage them, and ensure that they are enjoying their environment. This will transfer to the manner in which an employee deals with their customer. Comparing Malaysia with other Asian countries, Belding puts us right in the middle of the group but he thinks we are improving dramatically. “The policies and processes are giant leaps ahead of where they were five years ago. They are now more customer-focused instead of company-focused. The next step, perhaps a little harder to achieve, is improving the skills, working attitudes and pride level of the people. The challenges faced by retailers today are e-commerce and the state of the economy, Belding says. “E-commerce is the biggest threat, of course. I can get pretty much anything I want at a push of a button. The question becomes: ‘Why should I go into your store?’ If a retailer can’t answer that question, they will be in trouble. The only real competitive difference we have is customer experience, and we’re not doing a great job yet. “The second challenge is the constant economic struggle. One of the biggest reasons that there is so much employee turnover is because of the retail pay scale. Unfortunately, volumes and margins really don’t allow for much more. This means that the turnover will continue. As to the differences between the Asian market and the European and US market, he feels that Asia is more similar to Europe. “The landscape is still dominated by smaller, independent retailers. The difference, again, has to do with how willing employees are to engage with customers. Italy, France, Spain, etc, are very proactive with customers. Malaysia is predominantly passive. The let-the-customer-do-the-work style is more like the UK or Eastern Europe. “North America – the US and Canada – are quite a different animal. Customer service training has been part of the retail landscape for a long time, and customers have grown to expect engagement with salespeople. 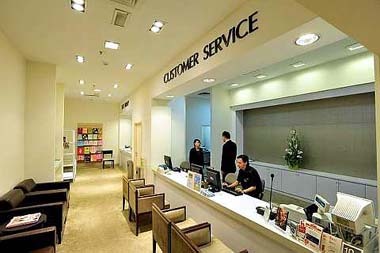 The notable exceptions are the larger department stores where customer service is absent. And the sales performance of these stores reflects this in a big way, he concludes.